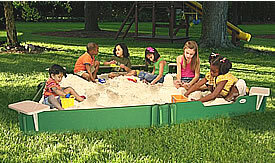 These great sandbox-with-cover packages from SandLock are the perfect choice for commercial and residential playgrounds. 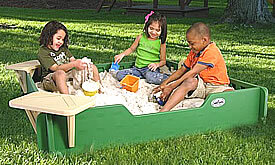 The sandbox panels slot together easily, in seconds. 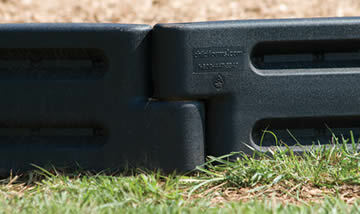 They’re made from commercial grade solid plastic (HDPE) with UV stabilizers, so there’s no splinters or rust. 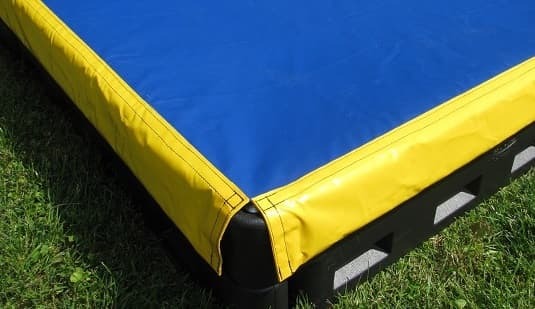 A vinyl cover is included with the 5′ x 5′ and 5′ x 10′ sandboxes. 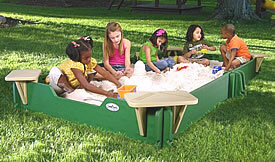 Every sandbox comes with at least 2 mini-chairs for kids to sit in. And every one comes with a 10-year warranty. They all ship by UPS, so you can order any one of them online.